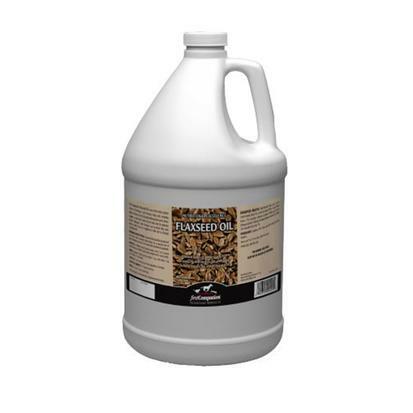 This gallon bottle is an economical way to combat scurf and fungal problems while improving hair texture, enhancing color, and deterring undesirable skin conditions. 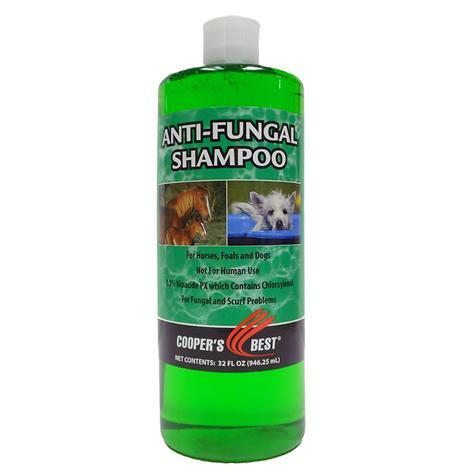 This anti-fungal shampoo contains 0.5% Nipacide PX which contains Chlorxylenol. 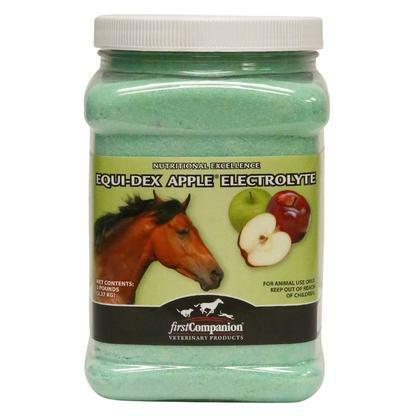 The iodine free formula rinses clean and removes embedded fungal debris. 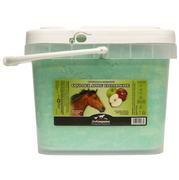 This formula is also safe for sensitive horses, and is gentle enough to use every day. Treats scurf and fungal problems effectively and leaves a shield against undesirable skin conditions. 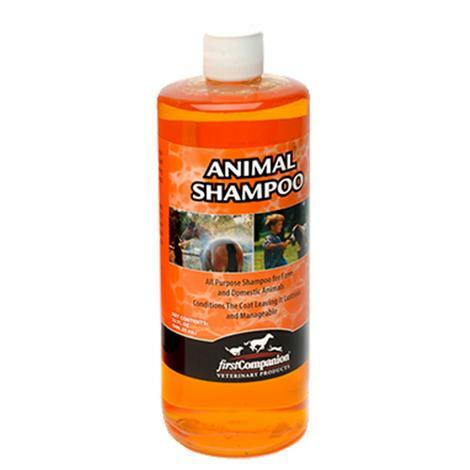 First Companion Antifungal Shampoo 32 Oz. A shampoo that is gentle enough to use every day and is effective against scurf and fungal problems. 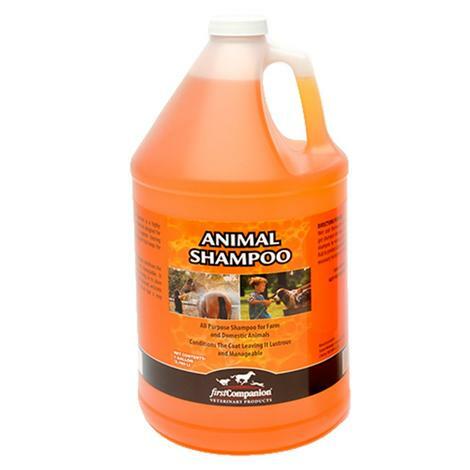 This shampoo contains no iodine and is safe for sensitive animals. 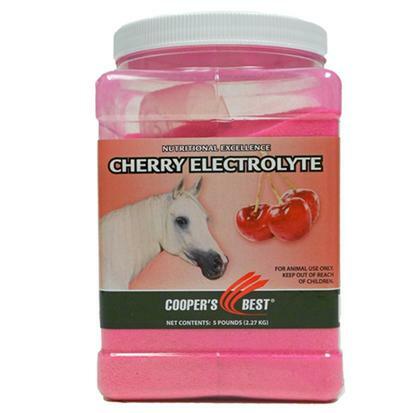 This product is 0.5% Nipacide PX which contains Chlorxylenol. 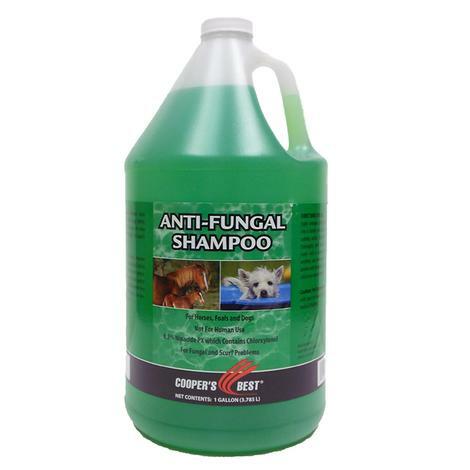 The use of this shampoo removes embedded fungal debris and leaves an environment that discourages undesirable skin conditions. Hair texture is improved and color is enhanced with use. 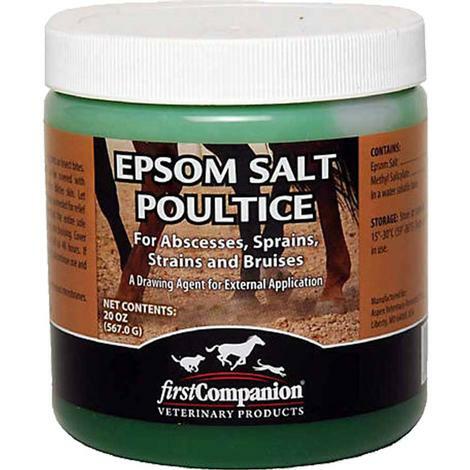 This is an economical way to treat pinworms, roundworms, and large and small strongyles in horses and ponies. Easy to administer apple flavored paste in a convenient oral syringe that contains 3.6 grams pyrantel pamoate per syringe. 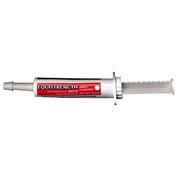 Get the correct dose every time with a syringe that is clearly marked in 300 pound increments. Each syringe treats up to 1200 pounds.